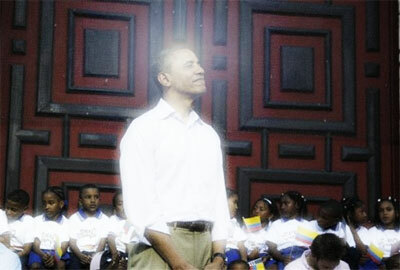 Is Barack Obama the Messiah? : "He has brought us out of the dark and into the light." "He has brought us out of the dark and into the light." Obama told the estimated crowd of 450 people that her husband is "the kind of president this country deserves. " Obama closed by asking the crowd three times: "Are you in?" She responded to her own question by saying: "Because I am so in." Source: Michelle Obama, Campaign rally. April 17, 2012.